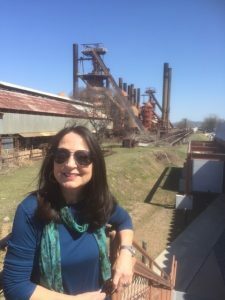 Bring the Stories of Sloss to You! In addition, we can host these talks at Sloss Furnaces National Historic Landmark if your group would like to visit us. Rather than hosting a generic event or gathering, make it unforgettable with one of our fun and informative presentations. We can even tailor the material to make it especially relevant to your location, group, or event. So contact us today to find out exactly how we can help you! For more information about these topics or to book a presentation, contact Karen Utz at (205) 254-2281 or email karen.utz@birminghamal.gov.